Change directions elegantly with Stair Landing Platforms. Formed from stain-grade wood in your choice of over 20 species, customize these platforms to meet your exact shape, color, and design requests. We bring your ideas to life! 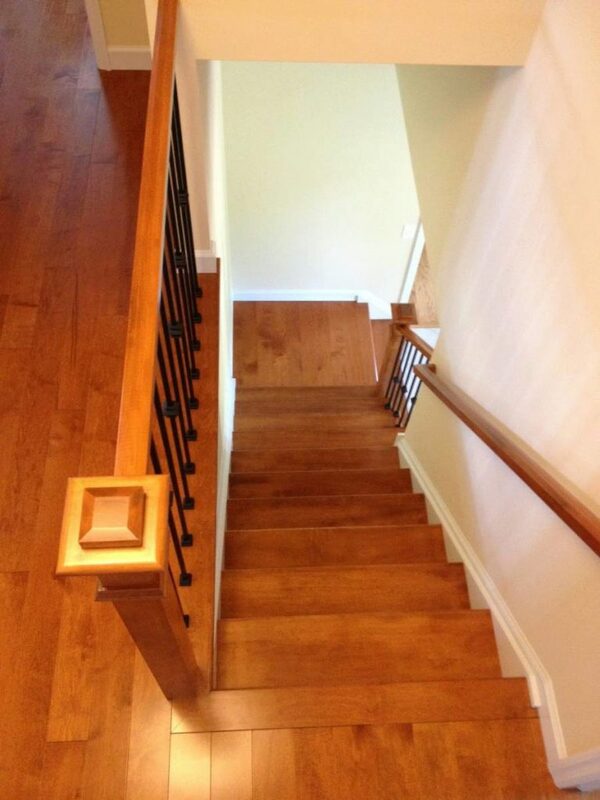 Coordinate with fresh 8070 Stair Treads to show off a real, quality wood design. Standard Stair Landing Platforms are 1” thick and perfect for new stairway construction. Each standard platform includes bullnose trim along one side. Utilize our Custom Landing Platform Designer for any special design requests. If you have in-depth questions, give us a call. 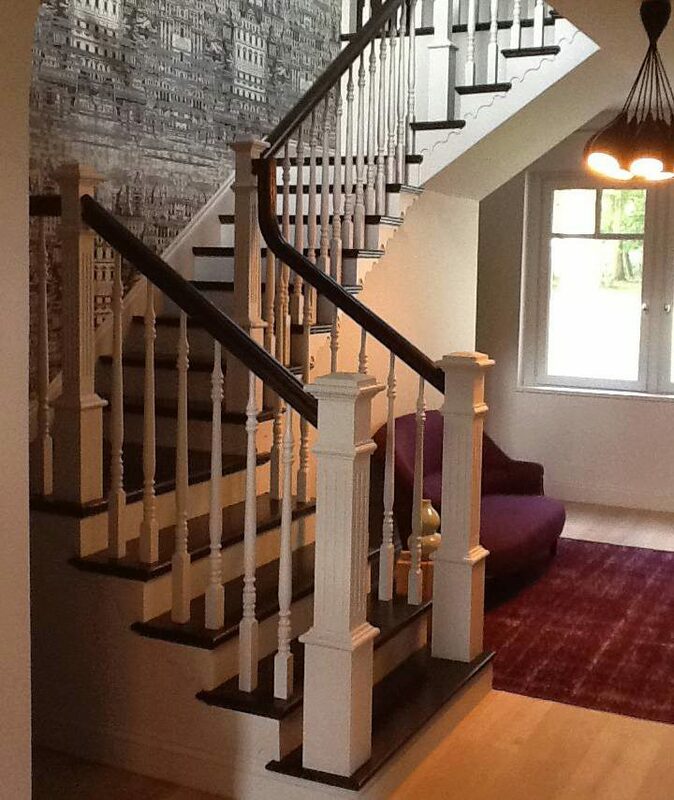 When renovating old stairs, replacement stair parts make the transformation easier. Replacement style landing platforms feature a ½” thick body and 1” thick bullnose on one side. 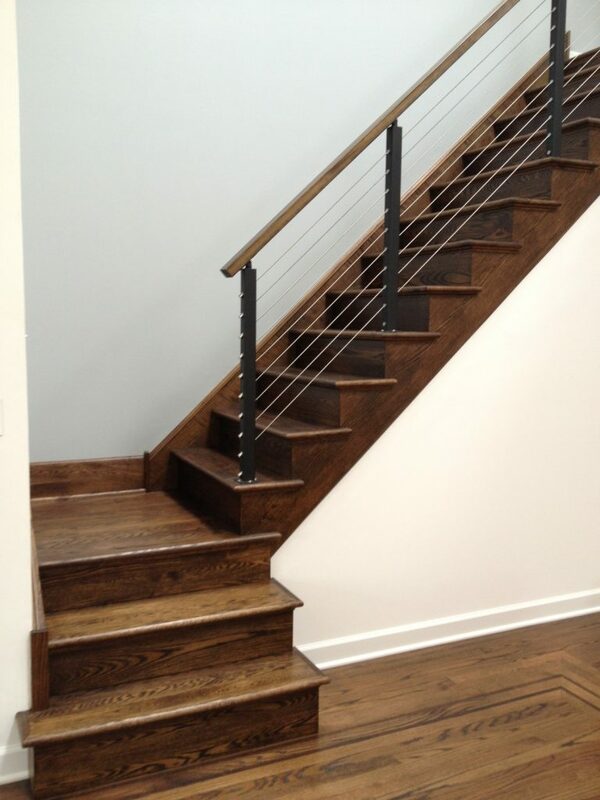 This design gives the new stairs a thicker look, while maintaining correct rise proportions. For unique requests, please use the Custom Replacement Landing Platform Designer to order exactly what you need. Give us a call if you have any questions. We are happy to accommodate your custom design. Utilize our Custom Landing Platform Designer, Custom Replacement Landing Platform Designer, or give us a call — our experts are happy to assist you! How does the underside look? Are both top and bottom sides finish-ready, with light sanding? Typically we sand the top side using 120 grit sandpaper, and the underside with just 80 grit. However, if you require both sides to be finish sanded we can easily do that. Just place your order and then give us a call with that note! Is this platform multiple piece glued together or one piece of wood for the width? The depth of this platform is made up of anywhere from 8-15 pieces of wood (varies depending on the species of wood and size of the platform), however the width is always made of one solid piece of wood. Can this be ordered in a custom size such as 4′ x 6′? If not what other options do you suggest for a landing? We can definitely make this a custom size! You can either place your order online for a standard size platform and then contact us with your order number to modify the platform. Or you can call and place your order over the phone. Is this made to be installed on floor joists or does it need a subfloor? 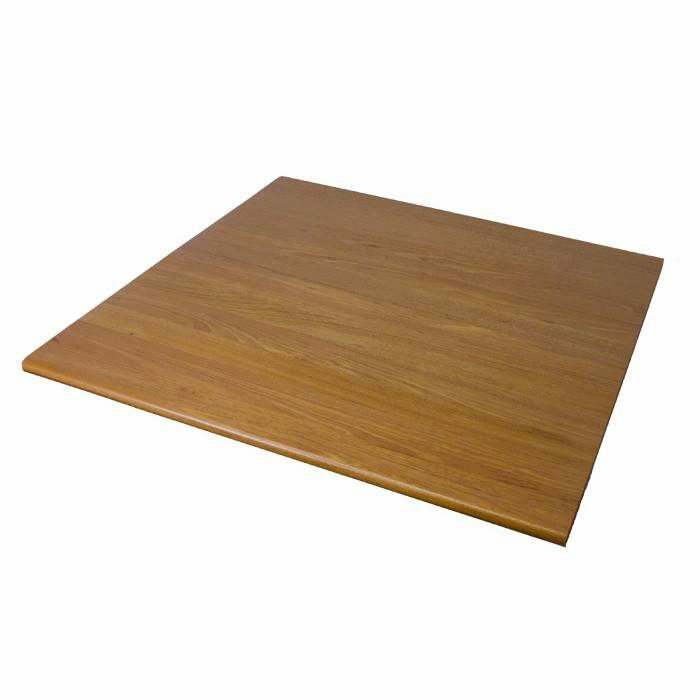 If you are purchasing this item (1″ thick platform), you would need to put down a subfloor on top of the floor joists. If you purchase our 2″ or thicker platform you can put it directly on the joists. Does the size of the platform include the nosing as well? Or is it for example 42x(42 + nosing) if I purchase 42×42? The size includes the nosing, so if you order 42″ x 42″ that’s the size that it will arrive. Occasionally we oversize the width, however we wouldn’t oversize the depth. If you need a different size than our standard we can easily do that for you. How is the 1″ platform typically installed over a subfloor? Glued down? We recommend that you glue it down, and use some trim screws to secure it completely while the glue is drying. I have a landing that will have two exposed edges. approx. 42 x 42″. 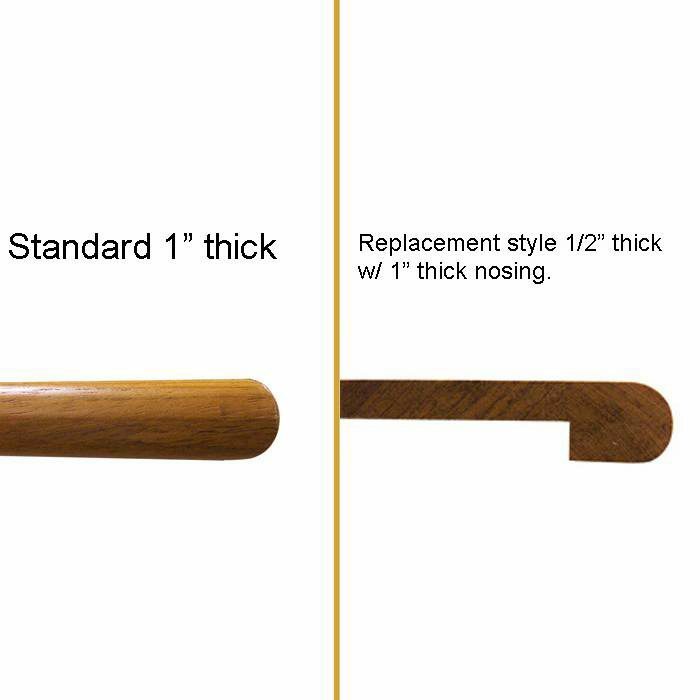 Could I special order 1″ White oak landing with bull nose down two edges (the standard with the grain and the other edge against) , connecting in one rounded corner (radius)? Thank you for contacting us Ralph! We are often able to customize products based on your specific needs. In this instance, we would ask you to send the specific details into us via email so we can prepare a proper quotation for you. Please send those details to orders@stairsupplies.com. Is the 1 in actually 3/4 in thickness? Liken traditional hardwood? The actual thickness is 1″, all of our products are the actual dimension that we specify in the description. We can do that! Please call in to make your customization request, or enter it into the customer notes section that is available before finalizing your order.